Needless to say, I was asked to write four articles for this special feature, though other AUI writers also chipped in. I also wrote my usual PD feature, totalling five articles in one magazine! Because this all links together, I’ve added several sub-pages to this feature page, so just follow the menus down and to the right. 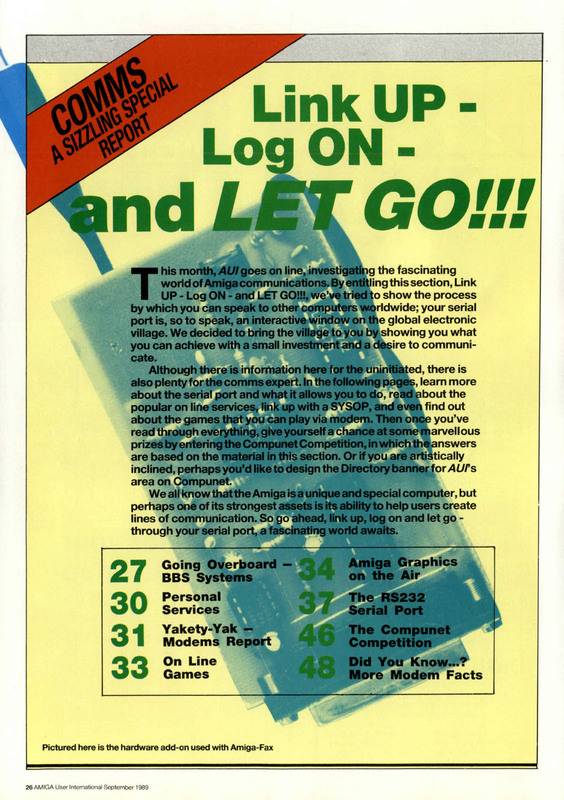 However, one other component of this special feature report was my other article, Amiga Graphics on the Air – which I have placed under the Ham Radio menu on this site for those interested in that field. You can go straight there from the link in this paragraph. For the time being I’ve just added my own articles here, but when time permits I’ll add the others for completeness. Click on the preview image of the feature’s front page below to get the full page image.